Share the post "Cool-season Flowers For Your Fall Garden"
Cool-season flowers bring rich palette of color to your autumn garden right when you need it most. 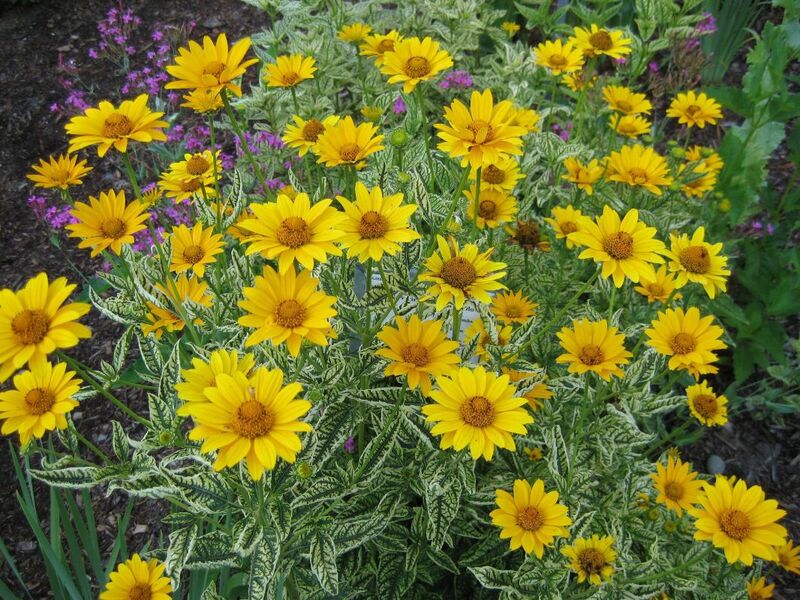 Make sure to plant fall bloomers and establish them in your garden earlier in the season. Usually, plants that bloom in late summer and fall are tough, drought tolerant and many of them grow tall and stately. The name “chrysanthemum” is derived from the Greek words chrysos (gold) and anthemon (flower). Chrysanthemums or ‘Mums’ are a stalwart of the autumn garden. There are countless horticultural varieties and cultivars. Chrysanthemums are divided into two basic groups, garden hardy and exhibition. Garden hardy mums are new perennials capable of wintering in most northern latitudes. Exhibition varieties are not usually as sturdy. Tagetes is a genus of annual or perennial, mostly herbaceous plants in the sunflower family (Asteraceae or Compositae). 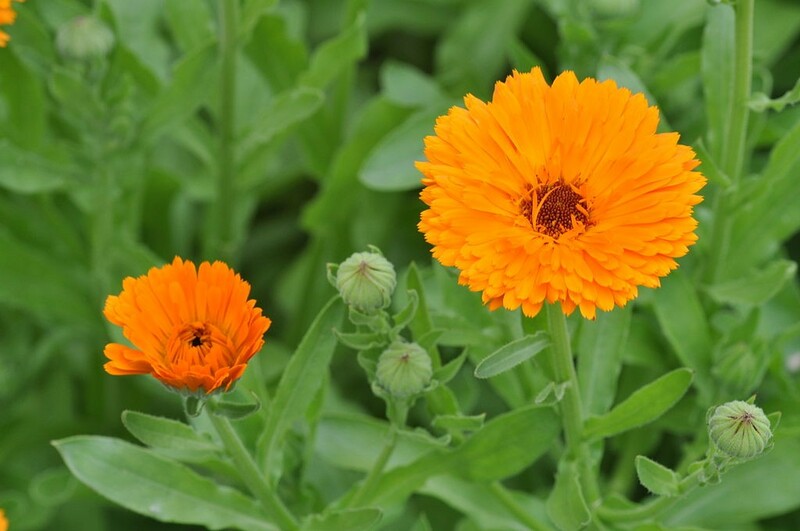 Marigold blooms naturally occur in golden, orange, yellow, and white colors, often with maroon highlights. 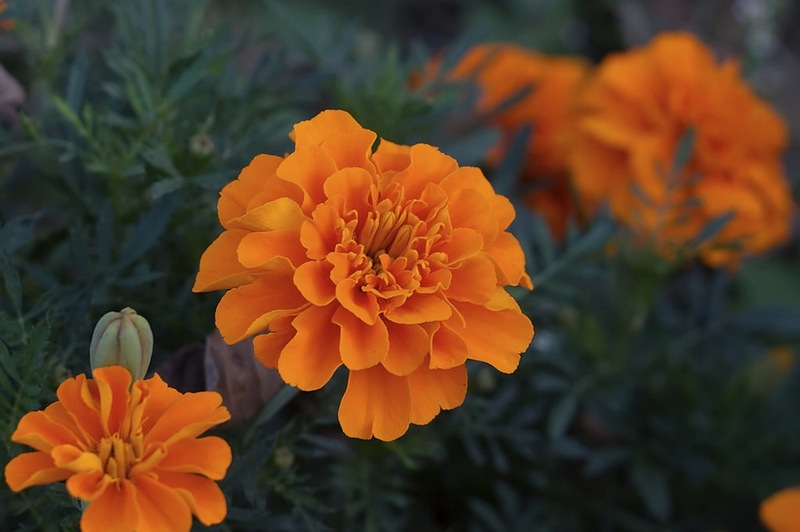 Depending on the species, Tagetes grow well in almost any sort of soil. Most horticultural selections grow best in soil with good drainage. The genus name (Aster) comes from the Greek and means “star-shaped flower.” Aster is a perennial which blooms in white, violet, blue, and pink. 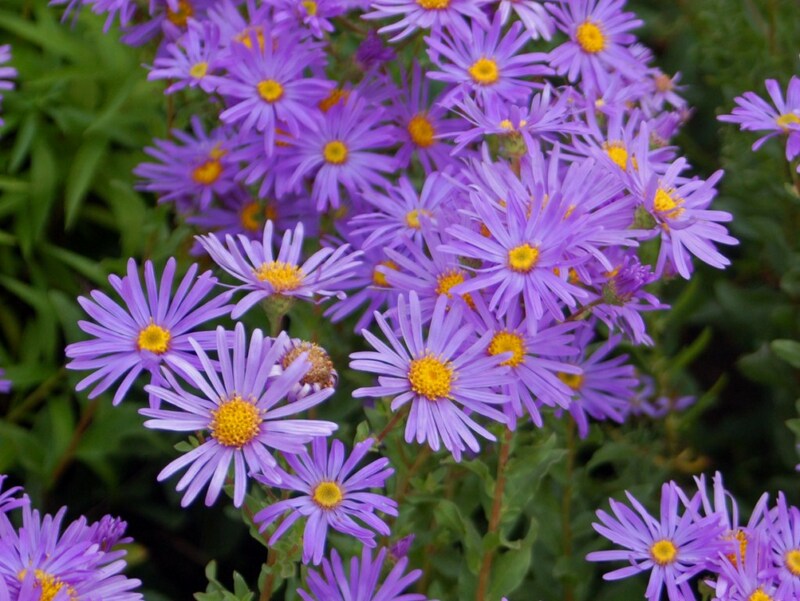 Aster needs to be pinched early in the season, to produce bushy plants and fall blooming. For a stunning fall show, plant them in front of purple blooming Mexican bush sage or yellow blooming Mexican mint marigold. Dragon flowers resemble the face of a dragon that opens and closes its mouth when laterally squeezed. 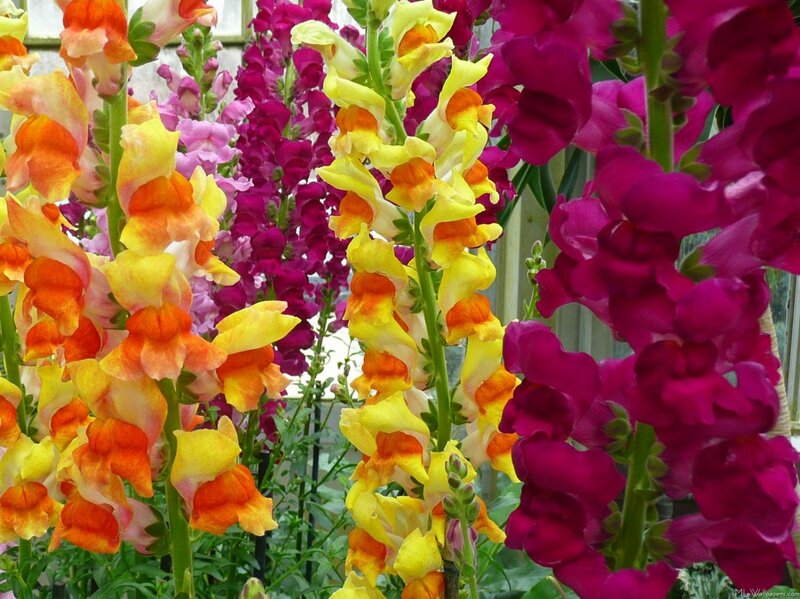 Snapdragon is an annual and among the best flowers for borders and cuttings. They’ll bloom all winter in mild-winter climates. (In cold climates, plant in spring.) 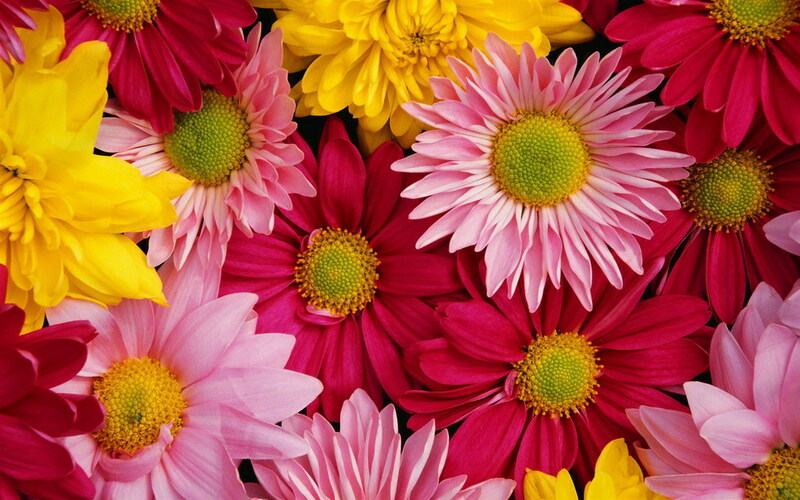 Flowers come in many colors: lavender, orange, pink, red, yellow, or white. Treasure flower is a half hardy perennial commonly grown as a half hardy annual by gardeners. Although they’re drought resistant, expect more and bigger blooms when you water. 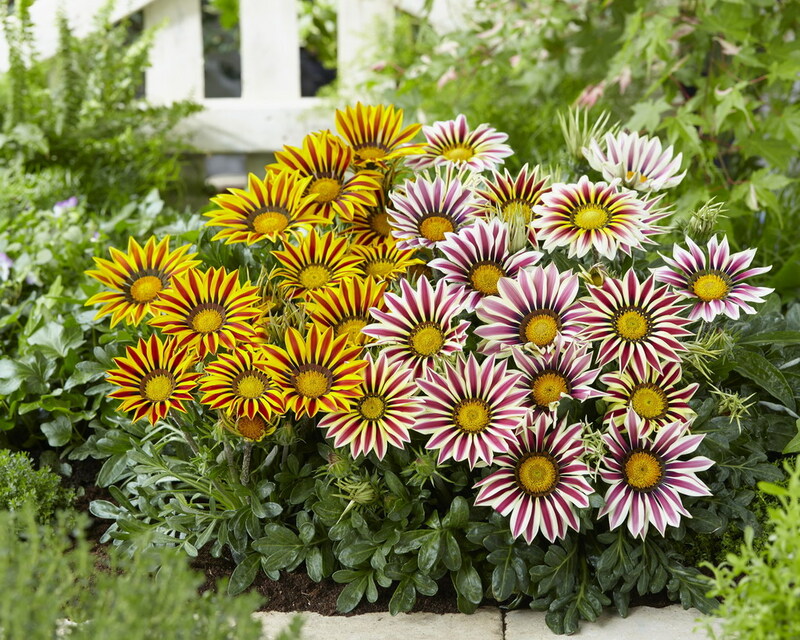 When in bloom Gazania are reminiscent of daisies and flowers may be pink, red, yellow or orange; some Gazania species have very attractive striped petals. Propagate Treasure Flowers by taking cuttings from towards the bottom of the plants at the end of summer. 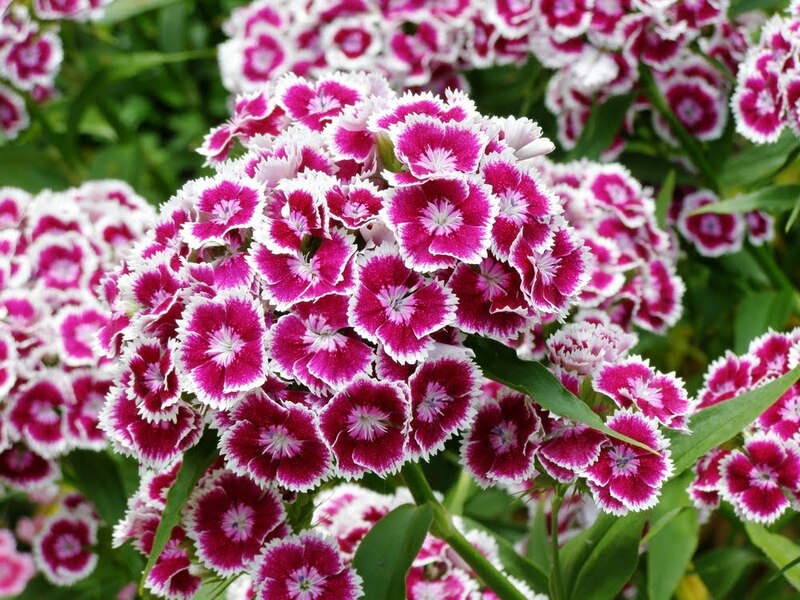 The name Dianthus is from the Greek words Dios (“of Zeus”) and Anthos (“flower”). Dianthus species have been extensively bred and hybridised to produce many thousands of cultivars for garden use and floristry, in all shades of white, pink, yellow and red, with a huge variety of flower shapes and markings. Dianthus is characterized by the spicy fragrance the blooms emit. Dianthus plants may be found as a hardy annual, biennial or perennial and most often used in borders or potted displays. Water the plants when dry and apply fertilizer every six to eight weeks. So easy! 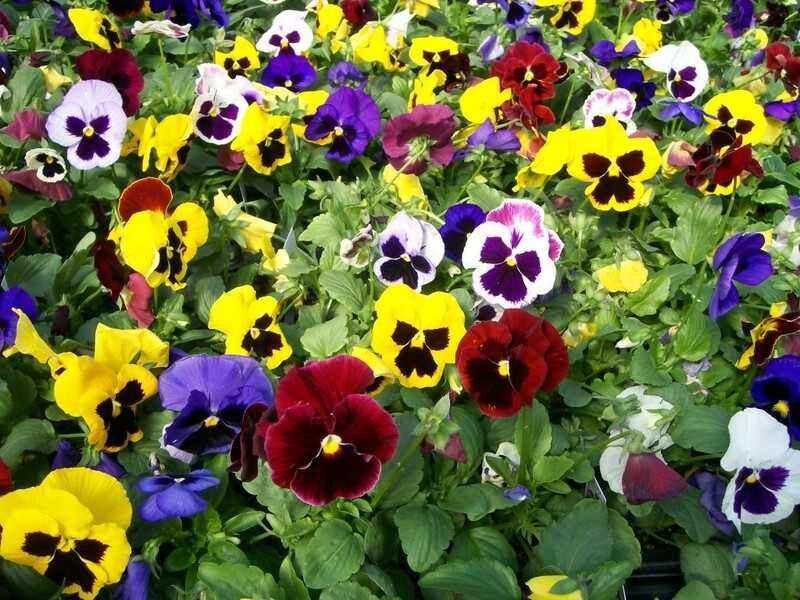 Modern horticulturalists tend to use the term “pansy” for those multi-colored large-flowered hybrids that are grown for bedding purposes every year, while “viola” is usually reserved for smaller, more delicate annuals and perennials. The name “pansy” is derived from the French word pensée, “thought”, and was brought into Late Middle English as a name of Viola in the mid-15th century, as the flower was regarded as a symbol of remembrance. The name “love in idleness” was meant to imply the image of a lover who has little or no other employment than to think of his beloved. Garden pansies and violas are cool-season perennials, but normally grown as biennials or annuals because of their leggy growth. They bloom in yellow, gold, orange, purple, violet, red, white, and even near-black (very dark purple). As soon as the flowers fade, nip them off. Pansy and viola flowers follow the sun – or, on dull days, they follow the best light. Plant them where you look at them with the sun or light behind you – then their flowers will face you. The genus Helianthus includes the much loved annual sunflower, Helianthus annuus, as well as several perennial species that make great, long-blooming garden plants. The brilliant gold fluffy daisy-like flowers are smaller than their annual cousins, but they are profuse and long lasting. Daisy-like yellow and gold flowers with center disks will vary slightly from species to species. There are single and double flowering varieties. And which flowers do you plant for your fall garden? And which flowers do you plant for your fall garden? Please share in the comments below! Do you sell Cool-season Flowers seeds or have plants for sale? You can place your advertisement here. Contact us now!